Prinknash coffee for two - 3⅛" (79 mm) high, 3⅞" (98 mm) diameter. 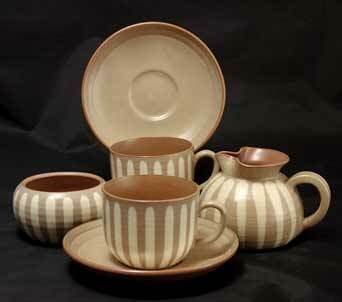 Could equally well be used for tea, but it has a coffee look about it. The sizes are for the jug.